I hope that you can find comfort in the words of God found at Psalms 86:17. Not only was Mrs. Newell our music teacher, but our neighbor across the street on Alta Vista & family friends - she was deeply loved & respected; our Taylor family's hearts go out to the Newell family. I am remembering you and the wonderful daughter you were to your Mom. I know she is rejoicing in Heaven right now---say "I wonder what took so long?" 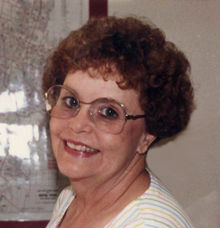 Aunt Pat was such a fun person to be around. As the little sister who replaced my daddy as the baby of the family, he loved her very much. We had a great time going to the Ritchey-Hughes reunion together a few years ago, and the siblings reunion in Austin is still a wonderful memory. Goodbye, Pat. Look forward to seeing you again in heaven. Mrs. Newell was a wonderful teacher. She made learning music fun. I always looked forward to going to music class. She will be forever missed. May she RIP. She taught my son Kenneth Read music at Travis Heights from 1980-86. She was one of kind and truly loved teaching her brand of music to us South Austin kids! We loved you back Mrs. Newell! Thanks to Pat, I got my first teaching job. I had the distinct privilege of teaching Music alongside her at Travis Heights for several years. How she loved the children, and what a terrific sense of humor she had! All those original lyrics she put to familiar tunes! Who can forget "Thunderbirds United" or "Earth Day Boogie?" I will never forget her. God bless Pat, and all those who mourn her loss.